Get on the Ultimate Frisbee bandwagon by creating your own team in town. Or just head off to one of their practice session, play a while, and then figure out a team. If you’re wondering what I am talking about, then you really are missing out on the joys of Ultimate Frisbee. A relatively new sport to catch on in India, this one is now all the rage and you’ve got to try it out to really appreciate it. Surely, you’ve played Frisbee at some point in time. What Ultimate does is bring in the principles of games such as football, basketball, rugby and a few others, to create a whole new game played by two teams comprising five to seven people. And the aim? To score points almost like they score goals in football. What I love about the sport is that it’s all about team spirit. And it never gets boring. Since it’s a rather large ground space of about 120 metres, no need to worry about hitting the gym. Just play some Ultimate, and within months, you’ll feel fitter. You’ll probably look it too. Nothing like learning a sport and getting fit at the same time, eh? 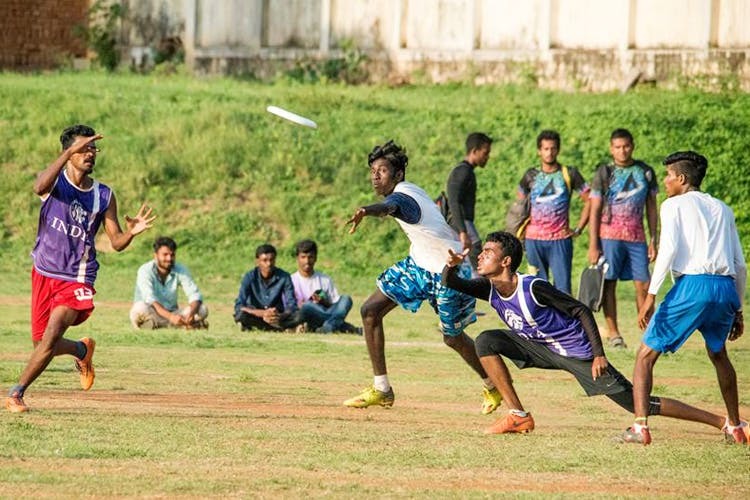 A hub of Ultimate Frisbee, Ultimate Bangalore is the main centre which coordinates events, and holds practice sessions. With 16 teams from the city alone, you’ve got to be part of this growing community. It’s fun, relaxing and you get to meet new people. It doesn’t get better. Truly. It’s also very comforting to know that you don’t need any prior knowledge to get playing. Just wake up, see how it works, and then dive right into the game. Well, as long as you can run and catch, with some level of dignity, you’re good! So, go on. Sign-up here. Team LBB is all for getting the sport into the Olympics. Who knows, you might be representing India at the Olympics soon.